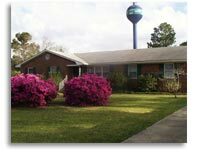 University of North Carolina Wilmington maintains several attractive and affordable rental properties to accommodate official university guests, visitors, interview candidates or newly hired personnel. All university departments or organizations may reserve these housing facilities. This three-bedroom brick ranch is conveniently located adjacent to campus. It has a kitchen, dining room, living room, den, study, two baths, washer and dryer and is comfortably furnished. Expanded cable, wireless internet, security alarm, telephone, and utilities are included. Linens, dishes, and pots and pans are provided. This three-bedroom brick ranch is conveniently located adjacent to campus. It has a kitchen, sun room, dining area, living room, den, two baths, washer and dryer and is comfortably furnished. Expanded cable, high-speed wireless internet, security alarm, telephone and utilities are included. Linens, dishes and pots and pans are provided. 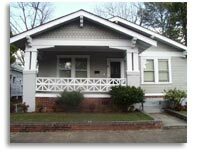 Located in historic downtown area, this cozy two-bedroom classic bungalow is conveniently located between campus and downtown. It has a kitchen, study, living room, dining room, one bath, and pantry. Cable, telephone, high-speed internet, security alarm, and utilities are included. 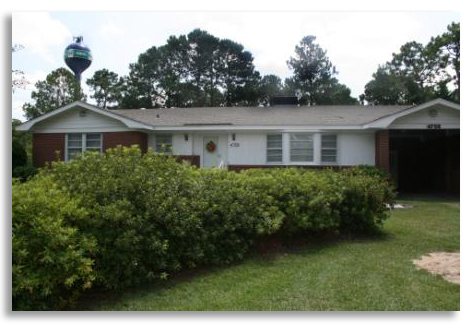 Located adjacent to the Center for Marine Science at Myrtle Grove, this coastal style home has three bedrooms with private bath for each, kitchen, living room, washer/dryer, cable television, high speed wireless internet, telephone, and a front porch perfect for relaxing in one of the rocking chairs. Linens, dishes and cooking utensils are provided.